There’s something romantic about the idea of death. Artists play with death, killing off beloved characters in order to thicken the plot. It’s a very good topic until it is experienced firsthand, then death becomes real. This is the central concept of Phil Elverum’s latest album: A Crow Looked At Me. This is Mount Eerie at his most personal. Elverum’s wife Geneviève died of cancer in 2016, leaving him to father their infant daughter alone. 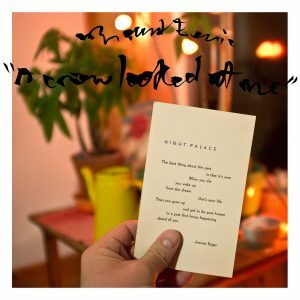 Geneviève was also an artist, so Elverum recorded A Crow Looked at Me using her instruments in the room that she died in. The whole situation is terrible, and it doesn’t get better. There’s no comfort or resolution by the end of the album, but the intimate lyrics provide a fitting soundtrack to insurmountable grief. “Thinking about the things I’ll tell you/when you get back from wherever it is that you’ve gone/ but then I remember death is real,” Elverum sings on “Ravens,” a haunting song on an album that looks at the reality of death.